Culture is characterized by the behavior, cooperation, relationships, conduct and righteousness. 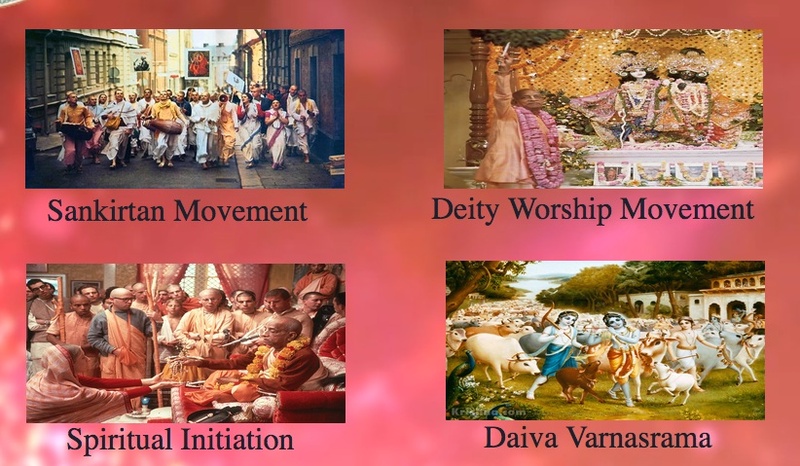 Daiva Varnasrama Culture is that which is characterized by set of aspects that foster Krishna Consciousness or God Consciousness. 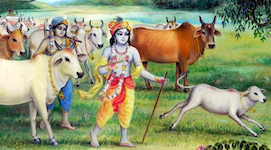 Land, Cows and Krsna are the three ingredients for self-sufficiency. The terminology of cows include Cows, Bulls, Bullocks/Oxen and their progeny. Cow protection means protection from physical exploitation, healthcare, establishing proper breeding policies suitable for the local situation, utilizing the products of cows and bulls such as milk and its byproducts, cow dung and cow urine and providing engagement for bulls/Oxen. Village technologies are locally designed, sustainable and often energy independent technologies used to process the raw food from the farm or to extract oil or to lift water or in handicrafts. Village technologies are sustainable, provide engagement for Ox/Bullocks and hence supportive to the cause of Cow protection. Under heavy industrialization and globalization, these time tested village technologies are lost and those remaining in traces are also being lost rapidly. Our Ministry is focused to revive these technologies, provide their use in it’s rural community bases and thus demonstrate their reliability, sustainability and efficiency. Our focus area is hence to widely disseminate, train and demonstrate such a culture for a rural community. This is a call for a paradigm shift from the present exploitative, capitalistic, impersonal and unsustainable culture. Our Ministry has formulated various programs under this focus area such as: Popularizing Sanskrit, Awareness and Training on Hari Bhakti Vilas and Sat Kriya Sara Dipika, etc.